Keeping Ormond accessible and providing future generations the extraordinary opportunities that College life creates, has been part of our legacy since our earliest days. Our generous founders and benefactors have been critical to this mission. We continue to rely on your support to give high-potential individuals access to our community and our remarkable facilities to enrich their development and help them make a disproportionate difference. There are numerous ways to support Ormond. For more information, please contact Peter Edwards, Acting Director – Advancement, on +61 3 9344 1141 or pedwards@ormond.unimelb.edu.au. The MacFarland Circle was formed in 2011 to recognise the College’s significant annual benefactors. The MacFarland Circle is named in honour of Sir John Henry MacFarland, the first Master of Ormond College (1881-1914), Vice Chancellor of the University of Melbourne (1910-1918) and Chancellor (1918-1935). During Ormond’s formative years, John MacFarland oversaw the growth of student numbers and the development of facilities. He helped establish the values that remain with the College today. His work laid the foundation for Ormond to take its place as a leading Melbourne institution. MacFarland was a very generous donor to the College providing support for scholarships and donating his books to the College Library. The MacFarland Circle honours all those who are following in his footsteps through their own generous support of scholarships, programs and building projects. 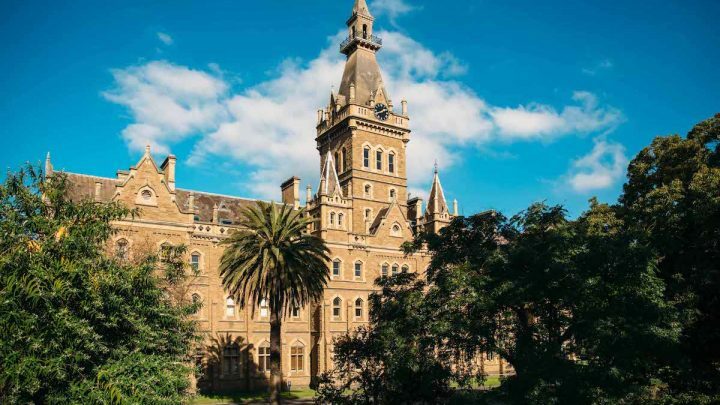 In 2011, 130 years after the foundation of Ormond College, the MacFarland Circle was inaugurated to recognise and honour those who support the College through their regular benefaction each year.